The city of Naples in the Campania region of Italy is the original birth place of the pizza. In this Bufalina pizza recipe, simplicity and quality of each ingredient is the most important aspect. 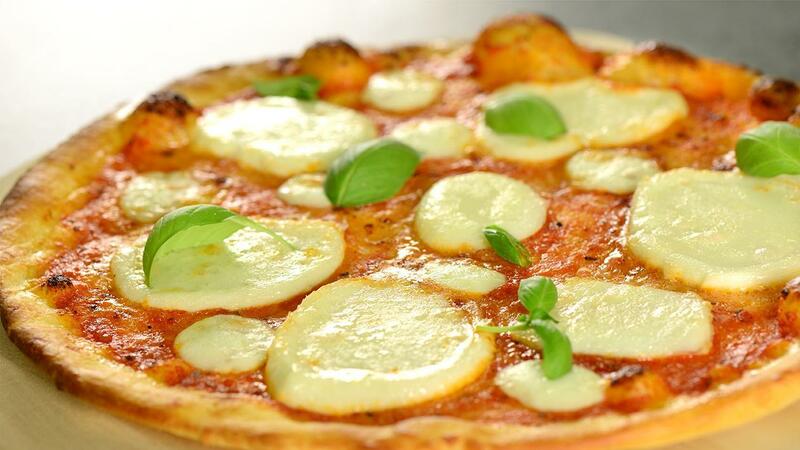 Knorr Tomato Pronto is the perfect base for pizza’s, topped with Italian buffalo mozzarella and a little basil. Try out the full recipe below. In Knorr Italian Tomato Base add some chopped fresh basil or parsley to the sauce. Spread the Knorr Italian Tomato Base sauce over the base, spreading it out to the edges. Tear over the mozzarella and scatter with the remaining basil leaves. Drizzle with a tiny bit of olive oil and add a pinch of salt and pepper.